Tasty, refreshing and good for you. No bitter aftertaste. Convenient 1.5g stick packs for quick and easy use. What are you preparing for? The finest organic Japanese matcha with blended with naturally uplifting herbs. This refreshing alternative energy drink has been hand blended to give you a natural pre-exercise boost. Matcha contains the amino acid L-Theanine, Add to this naturally caffeinated Guarana powder and proven health promoting Ginger, Ginseng and Gingko Biloba powder and you have the perfect natural energy drink. On average Matcha has a quarter of the caffeine content of coffee. Pour the contents of one stick pack into your glass shaker. Combine with either cold or 80-degree water. Shake until a froth is created and drink. Can also be whisked in 200ml of water. Alternatively try mixing one stick pack into a juice, smoothie or latte (non-dairy milk is healthier). Matcha green tea powder (63%), ginger powder, ginseng powder, guarana powder and ginkgo powder. 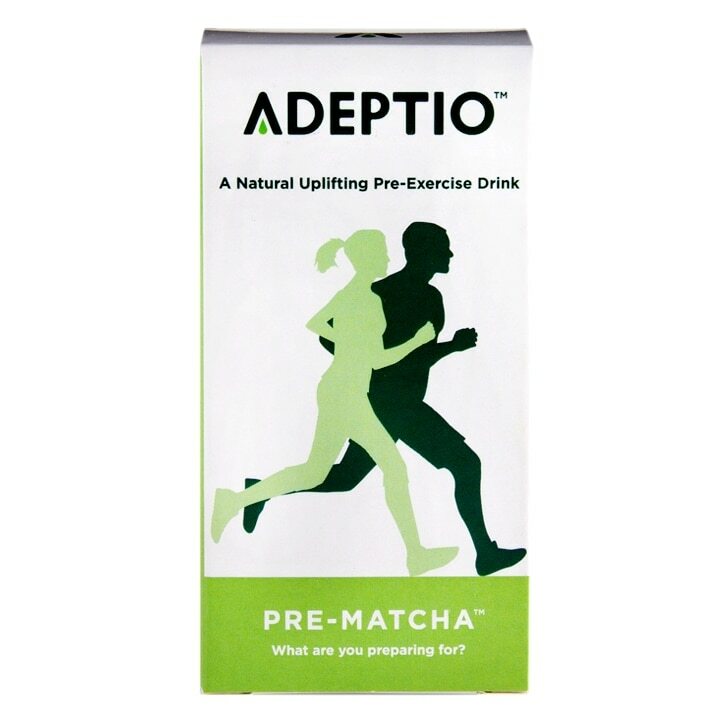 Adeptio Pre-Exercise Drink is rated 5.0 out of 5 by 2. Rated 5 out of 5 by Lawrence1977 from Excellent natural replacement for pre workout drin Bought this a few times now. Was looking for a natural alternative to the chemically pre work out drinks I was taking. My preference is the peppermint one, which is refreshing and good to drink cold. Its light to drink and although it doesn't kick like the chem caffeine, I feel it is much better for my long term health. Will continue to purchase.